You must use the Harmony Stageor Harmony Xsheet, rather than Control Center, to add elements or drawings to your environment. After you add them in the exposure sheet and save the source, the Control Center module displays them in the Elements and Drawings panels. 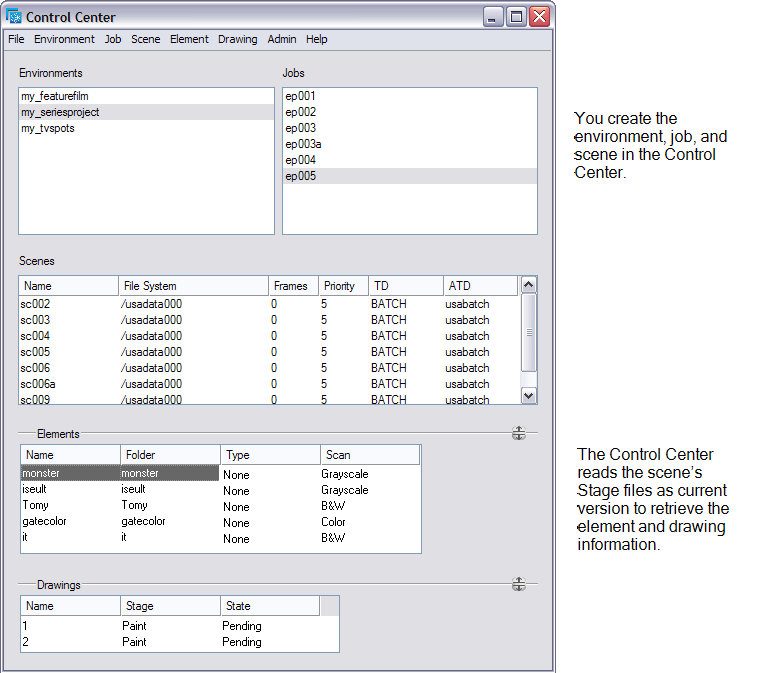 When you select a scene in the Scenes list, all of the elements associated with the scene (e.g. background, characters, etc.) appear in the Elements and Drawings lists. The Control Center module retrieves these components from information you previously entered in the exposure sheet. You can click on the Expand/Collapse buttons to show or hide the Elements and Drawings sections.